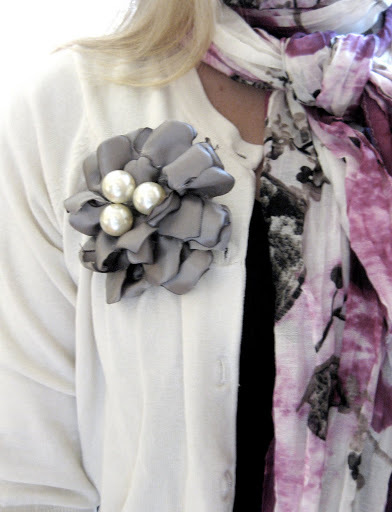 So I saw this fabric flower tutorial on Rhonna Ferrer’s super-creative blog and of course my head started spinning. I am such a copy-er. Isn’t it cute? 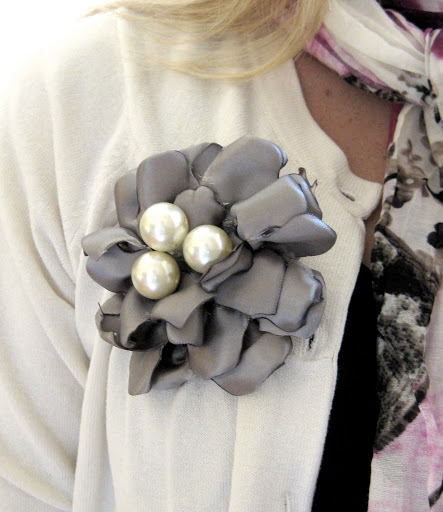 All it takes is a piece of satin ribbon or fabric, some needle and thread, and hot glue. 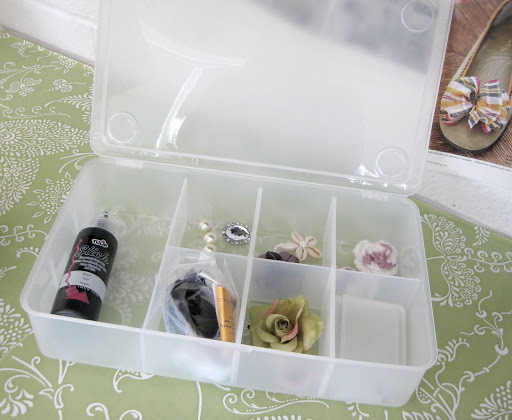 I have a container where I keep embellishments, little silk flowers, pearls, stuff like that. And it comes in handy for making little projects like this. I want to try making some more in fun colors. 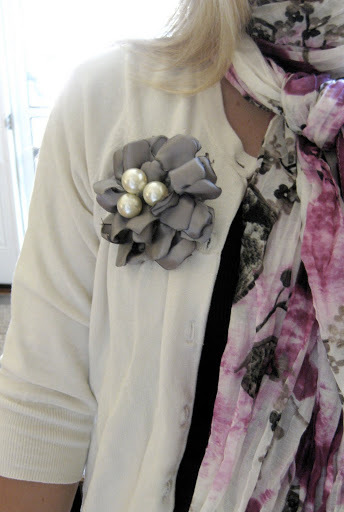 If you want to try it, Rhonna’s tutorial is really helpful! Go for it!